Star wars – James Proclaims! Time again for another ‘Artist’s Corner’. Once again I’m participating in the Moodle Army Challenge from Haylee’s Aloada Bobbins. This week’s challenge is to PUT YOURSELF AT THE CENTRE OF THE UNIVERSE! I wasn’t really sure how to interpret this one to be honest. Disappointingly I couldn’t think of a clever play on words. I considered drawing a half man/half horse combination in space and dubbing it ‘The Centaur of the Universe’ but that seemed beyond my level of artistic skill and, also, I’m not sure it would have been that funny. We’ll never know though because I didn’t do that. I’m not sure if I’m going to make the review of my chocolate advent calendar an annual event. However, I did do it last Christmas Eve and I seem to be doing it again this year so there’s every chance it’ll happen again next year. There has been a development on the chocolate advent calendar front – after many years (some might argue too many years) of indulging me, my mother has passed on the baton to my darling wife. Mrs Proclaims has stepped up to the plate however and did not disappoint. Once again I got Marks and Spencer Advent calendar which means that once again the chocolate is of a decent quality. To be honest that’s generally enough to keep me happy, but Mrs Proclaims knows my love of Star Wars (and indeed novelty Star Wars chocolate products in particular) so to follow up last year’s Darth-Vader-themed calendar, this year I got a BB8 calendar. But I don’t always like games. I can tolerate an occasional round of Monopoly, but I find my enthusiasm wanes after a while. I don’t mind chess either but only really against weaker opponents (of whom there are not many). This dressing gown is a must have. 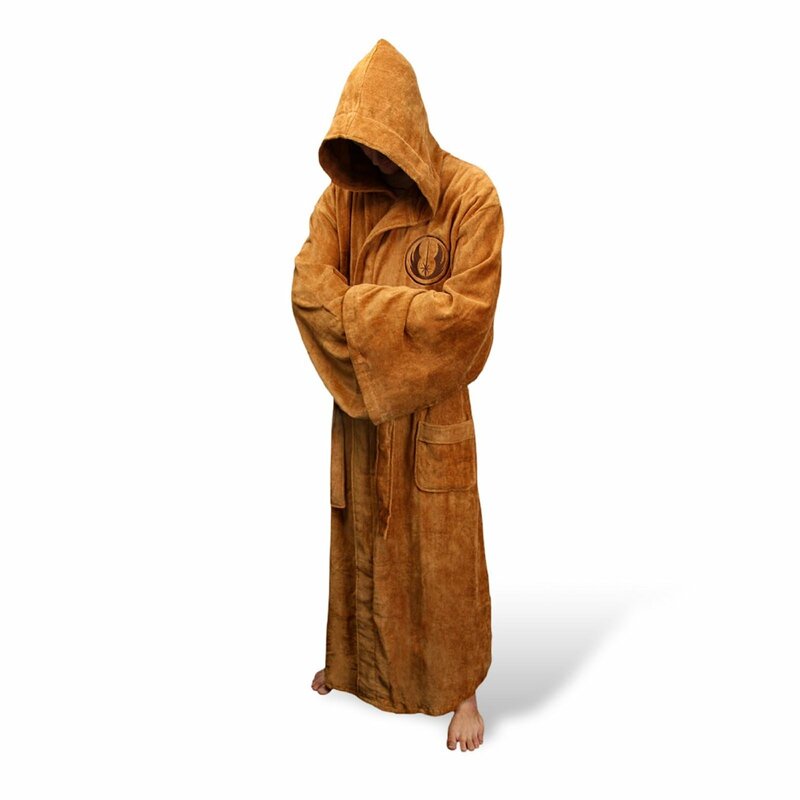 When you’ve had a tough day fighting Sith lords and Stormtroopers, there’s nothing better than kicking back and relaxing in one of these luxurious robes. Equally if the force isn’t quite as strong with you, or you’re now in your mid-thirties and therefore ‘too old to begin the training’, then there’s nothing to stop you from buying one of these and just pretending that you’re a Jedi.